Netflix has recently premiered their new eight-part series titled Our Planet, with narration from the inveterate David Attenborough. One particularly grisly scene of walruses falling to their death from a high cliff in northern Russia has caused shock and revulsion among many viewers. It has also raised serious questions about the truth of a number of claims made in the documentary, in particular the claim that “climate change” is responsible for the deaths. 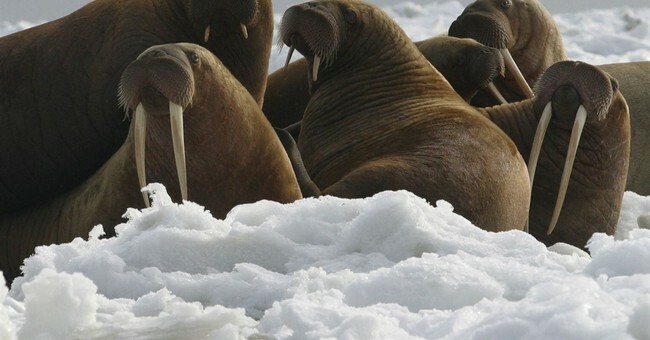 Indeed, the US Fish and Wildlife service determined in 2017 that the Pacific Walrus “Does Not Require Endangered Species Act Protection” for any reason, including reduced sea ice extent. The 2007 prediction that two-thirds of the world’s polar bears would disappear when summer sea ice declined dramatically has obviously failed.